In 1967 Edward Albee bought a big white barn in Montauk, NY, and started a Foundation to serve talented writers and artists. He was born on March 12, 1928, and began writing plays 30 years later. His plays include The Zoo Story (1958), The American Dream (1960), Who's Afraid of Virginia Woolf? (1961-62, Tony Award), Tiny Alice (1964), A Delicate Balance (1966, Pulitzer Prize; 1996, Tony Award), All Over (1971), Seascape (1974, Pulitzer Prize), The Lady From Dubuque (1977-78), The Man Who Had Three Arms (1981), Finding The Sun (1982), Marriage Play (1986-87), Three Tall Women (1991, Pulitzer Prize), Fragments (1993), The Play About The Baby (1997), The Goat, or Who Is Sylvia? (2000, 2002 Tony Award), Occupant (2001), At Home at the Zoo (Act1: Homelife; Act 2, Act 2: The Zoo Story) (2004), and Me, Myself and I (2007). He is a member of the Dramatists Guild Council and President of The Edward F. Albee Foundation. 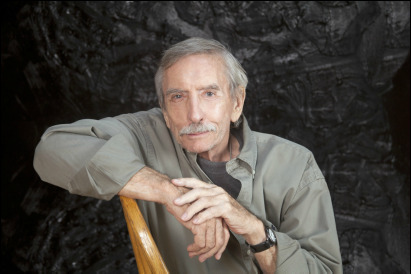 Mr. Albee was awarded the Gold Medal in Drama from the American Academy and Institute of Arts and Letters in 1980, and in 1996 received the Kennedy Center Honors and the National Medal of Arts. In 2005 he was awarded the special Tony Award for Lifetime Achievement. Jakob Holder has been the Executive Director of the Edward F. Albee Foundation since 2014 (previously the Executive Secretary since 2001). He is also a playwright whose plays have had productions and readings throughout the U.S., the U.K., in Helsinki and Rome. He is a two-time winner of the Last Frontier Theatre Conference Playlab Award and a three-time winner of the NAAA New Play Competition (London, UK). In 2009 he was selected to be the sole Cherry Lane Theatre Mentor Project playwright for his play HOUSEBREAKING. His full-program plays include: BEDTIME SOLOS; HOUSEBREAKING (Dramatists Play Service, 2012); REPEAT PLAY; GREEN SETTING SUN; THE SHOULDER; THE OPEN CIRCUIT; TO THE SEA IN A SIEVE; and THE AGATHA SHADOW. His short plays include: ONE SLIP; DARKTIME IN SKIPLAND; ERSATZ; FINDINGS; and SUMATRA MANDHELING, which was published in Post Road #18. He has led playwriting workshops for children in Alaska, teenagers in Florida, and adults in Finland. He is a 2002 Dramatists Guild Fellow, a 2003 Lark Theatre Fellow, a 2006 Oriveden Opisto Resident Artist, and a member of The Dramatists Guild. Since the late 70s, Rex Lau has had 23 solo exhibitions. Mr. Lau’s paintings and works on paper have been widely exhibited in the United States, and have been shown in Germany, Italy, and Israel. His work has been exhibited at The Metropolitan Museum of Art and the Solomon R. Guggenheim Museum in New York, and the Museo RufinoTamayo in Mexico City. His work is in the permanent collections of seventeen significant U. S. museums, Including The Metropolitan Museum of Art, Solomon R. Guggenheim Museum, New York, Albright-Knox Art Gallery, Yale University Art Gallery, New Haven, the Museum of Contemporary Art in Los Angeles, and the Library of Congress in Washington D.C. Critics who have written essays on his work include Stephen Westfall, Donald Kuspit, Amei Wallach, Phyllis Braff and Gerrit Henry. His most recent exhibition was at The Drawing Room in East Hampton, New York. Rex has overseen The Barn since 1980 and lives in Montauk year-round. Since the early 1980s Diane Mayo has had seventeen solo exhibitions. Ms Mayo’s ceramic work has been widely exhibited in the United States in recent years and was shown in Germany in 1994. The noted art critic and author Rose C. S. Slivka has written “Diane Mayo is in a class by herself as a potter, making uncanny habitats for a world of birds, beasts, fish and creatures of her imagination. Hand-rolled from slabs, they are without a doubt among the most original pottery forms we have seen anywhere.” Other critics who have written essays on her work include Phyllis Braff, Gerrit Henry and Amei Wallach. Diane has assisted in day to day operations of The Barn since 1980 and lives in Montauk year-round.